Emergency services are attending to a male pedestrian who was hit by a car this afternoon. UPDATE: The male was taken to hospital but his injuries are not thought to be life threatening. The incident, involving a Honda, happened at around 5.05pm on Auchmill road just north of the Haudagain roundabout in Aberdeen. 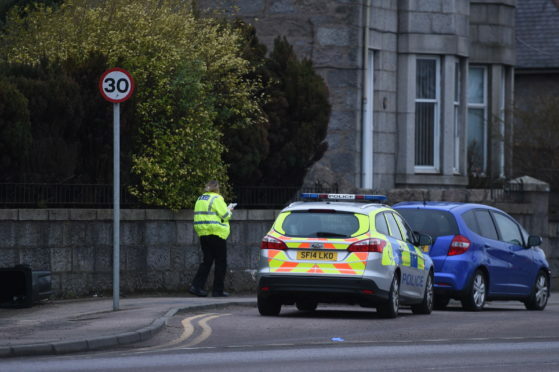 A spokesman said: “A male pedestrian was hit by a Honda on Auchmill road at 5.05pm today. The road is currently blocked as delays are expected. Police are asking motorists to use alternative routes.